Although its release date is just two weeks away, Teenage Mutant Ninja Turtles: Out Of The Shadows has had to tweak its cast. According to The Los Angeles Times, Brad Garrett has just signed on to play the villainous, globulous Krang in Fred Armisen’s stead. We reported back in March that Armisen would voice the bad brain, who would presumably find a way to trail off in song. But scheduling issues have forced the Portlandia co-creator—whose role, the Times notes, was never confirmed by Paramount—out of the film, and now it’s Garrett’s dulcet tones that will emit from the torso of an exosuit on the big screen. 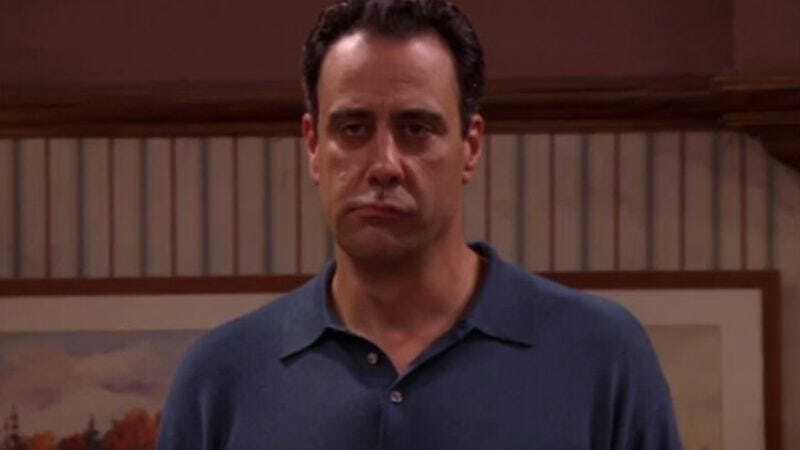 The Everybody Loves Raymond actor has done lots of voice work, with roles in Ratatouille, Finding Nemo, A Bug’s Life, as well as TV shows like Superman: The Animated Series and Justice League Unlimited. Garrett’s deep voice certainly seems to be on the other end of the vocal range for the character, but maybe he’ll follow in Krang originator Pat Fraley’s footsteps and use a little indigestion to raise his pitch.